Egypt began to liberate itself from Abbasid rule under the Tulunids (868-905). 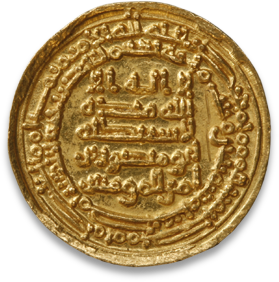 Ahmad ibn Tulun was Abbasid governor of Egypt, but soon took control of the country’s finances and then conquered Syria with his own army. In his Egyptian capital of Fustat, he founded a new quarter for his troops, with one of the period’s most important extant Islamic monuments, the Ibn Tulun Mosque, which was highly influenced by the contemporary architecture of Abbasid Samarra. The Tulunid dynasty ruled for only a few generations, after which Egypt and Syria briefly returned to Abbasid control. The Fatimid dynasty (909-1171) emerged in Tunisia. The Fatimids were Shia Muslims who traced their family back to Fatima, daughter of the Prophet Muhammad and wife of Ali, the fourth caliph. 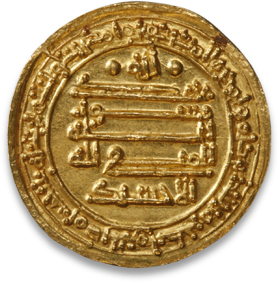 The founder of the dynasty, Abd Allah, consequently felt that he had more right to lead the Muslim world than the Abbasids, and assumed the title of caliph. In conquests in the east, he took Egypt in 969 and founded Cairo near Fustat in 973. Then Syria also came under Fatimid control. Most of the Fatimids’ subjects were Sunni Muslims, who benefited from the Fatimids’ generally tolerant rule. Even Jews and Christians were able to reach the highest positions within the state administration. The Fatimids did, however, work to expand their influence, and among other things founded the al-Azhar University in Cairo to educate missionaries to propagate Shiism in Sunni-dominated areas. The Fatimids reached their political zenith under the caliph al-Mustansir (1036-1094) and controlled most of the Arabian Peninsula and even Baghdad for a time. The economy flourished, since Egypt had grown into a hub for trade between India and the countries of the Mediterranean. Soon Cairo surpassed Baghdad in size and magnificence. The city became the center for the production of luster ceramics, glass, woodcarvings, and luxury articles of rock crystal and ivory, two materials that found their way to the caliphs’ sumptuous treasuries and were exported to the Christian realms of southern Europe. First catastrophic draughts and social unrest and then pressure from the Seljuk Turks and Christian Crusaders took their toll on the Fatimids in the course of the 12th century. In 1171, they succumbed to the armies of the Ayyubid Salah al-Din (Saladin). Sicily was occupied by Muslims from Tunisia in the 9th century. The Kalbids (948-1053), who ruled on behalf of the Fatimids, went on plundering raids far up into the Italian mainland. But internal strife paved the way for Norman rule as early as the end of the 11th century. Muslim culture, which was much admired by the Normans, did, however, survive on the island for some time.